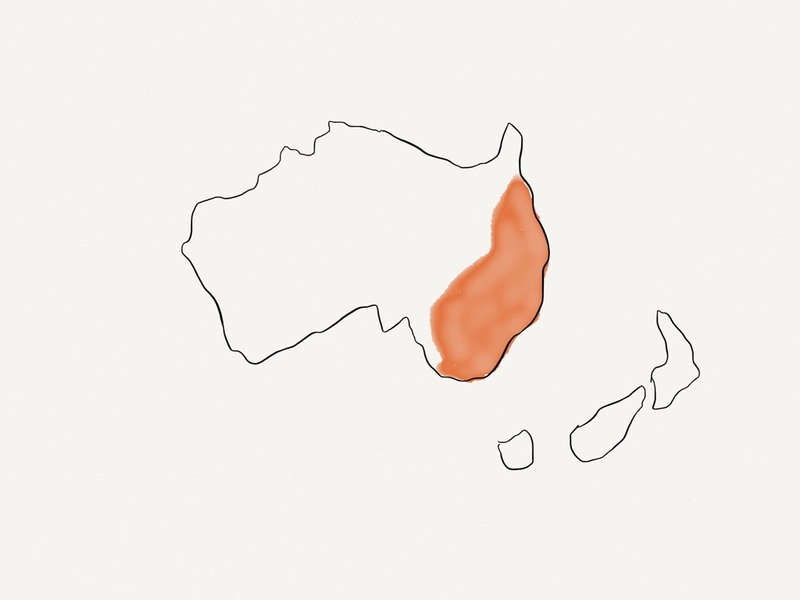 As you should know from the map that Professor Tamandua gave you, we’re in Australia! Yesterday we spotted a common wombat and we had some correct guesses! High hooves all around! 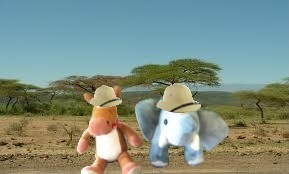 Today we went to find an iconic animal of Australia! This furry creature is one adorable animal and we were lucky enough to meet a few of them, hanging out in some eucalyptus trees! Do you know who it is? Koalas need their sleep! They snooze up to 18-20 hours a day! They are arboreal! They have sharp claws that help them climb and those trees are a great place to eat and keep safe! Man can koalas eat! Koalas need to eat a bunch of eucalyptus to get water and nutrition and that means they munch up to 2 1/2 pounds a day! Those eucalyptus leaves are toxic, but koalas have a special bacteria to break down those toxins. 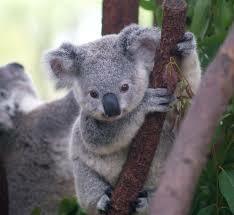 Koalas are marsupials- not bears! They give birth to teeny joeys that then grow in mom’s pouch! These solitary species need their space! 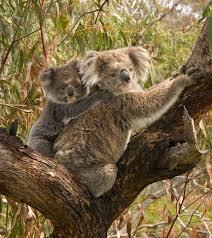 Koalas need around 100 trees per animal to be comfy and cozy! Koalas are nocturnal! 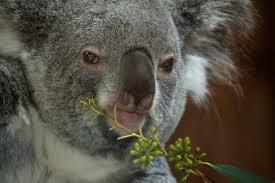 They spend most of their evening chewing on eucalyptus leaves! Male koalas have a scent gland on their chest that they rub on trees to mark their territory! All of those eucalyptus leaves give koalas a menthol cough drop smell! Ha! Koalas are amazing and odd creatures! They look like cuddly bears, but they do have claws and can be a bit territorial! Australians are working to ensure they have enough habitat to live! We couldn’t imagine a planet without these cuties!